Susie has a degree in nursing – and an MSc in Nursing Practice, which enables her to operate at an advanced level of clinical practice. An Advanced Nurse Practitioner and Independent Nurse Prescriber since 2004, she has a wealth of experience spanning 27 years, both in and out of the NHS. Susie’s decision to specialise in Aesthetic Medicine has been influenced by her primary care experience in the specialist areas of Women’s Health and Dermatology. Susie has undertaken her Medical Aesthetic training with some of the leading edge trainers within the Aesthetic arena. Susie’s passion is the promotion of health and well being, which underpins the ethos at Rejuvenating Solutions for ensuring that only safe and appropriate, evidence-based treatments are performed. As a dedicated professional, Susie is continually updating and refining her skills through ongoing professional development – and she is accountable not only to her patients but also accountable and regulated by the Nursing and Midwifery Council to ensure professional integrity and standards are maintained and upheld. A very relaxed but professional clinic, felt that I was in safe hands. Susie's treatment made a marked difference to my appearance and confidence. Professional, competent, personal service. Highly recommended. A very relaxed but professional clinic, felt that I was in safe hands. 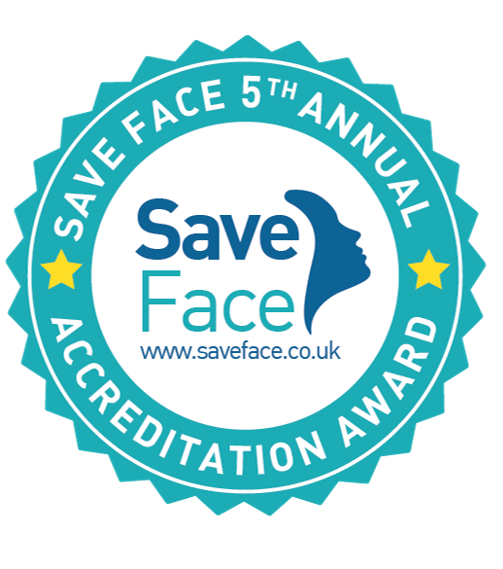 Susie’s treatment made a marked difference to my appearance and confidence. Susie’s passion for skincare shines through. Having suffered with acne all my life , with Susie’s help , advice and aftercare support, I now feel positive in relation to my skin but more importantly my confidence is growing. Thank you Susie! Fab service, very professional and confidential. Fantastic clinic and great staff. The advice and treatment that I have had have completely changed my skin. A friendly, caring, professional and discreet approach. My treatment has made me feel more confident about my appearance. Thank you so much. I can now wear lipstick again! I had been intrigued by botox but had never dared to try it until a friend confessed to having botox with Susie. I had not even noticed that she had had anything done apart from the fact that I kept telling her how well she was looking! She looked so natural. I did have botox treatment with Susie following a detailed assessment and explanation of what was involved. I returned a week later to have my treatment. This gave me the chance to digest both the leaflet and verbal information that Susie had given to me prior to my treatment. I am thrilled with the effects and the quality of care I have received. Lovely staff, really friendly. Everything explained thoroughly so knew what was happening at all times and felt reassured. Cannot recommend Rejuvenation Solutions enough. First class in every aspect. I would not trust anyone else with my face! Susie is knowledgeable and professional in my opinion the best! Staff are fantastic and understand my needs. 5 star treatment all the way..
Super staff knowledge. Professional staff that take care of all individual needs. Always come away from the clinic feeling so much better and ready to get on with my life. Always welcoming, professional, highly recommended. Wouldn’t go anywhere else. Wished I had found the clinic sooner. So professional and caring. Such a lovely experience. Very friendly and professional salon. Very professional service, lovely clinic and staff. Brilliant service! professional throughout! results amazing! Fantastic salon, great customer care, felt safe and reassured at all times. I was expecting my face to peel and dry out a lot after having the blue radiance peel done but it didn’t peel that much and only lasted a couple of days. Face is a lot smoother.